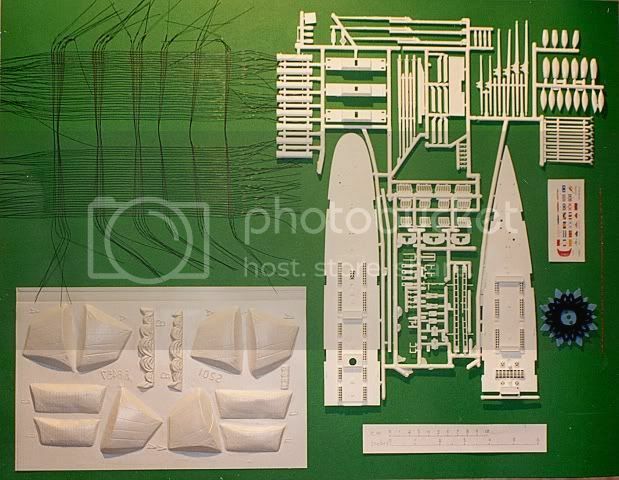 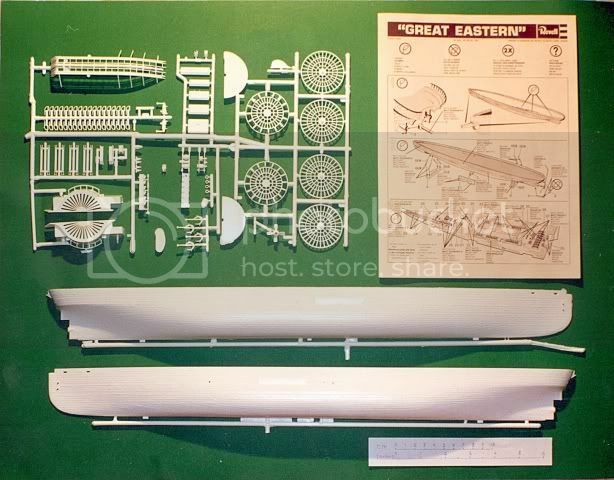 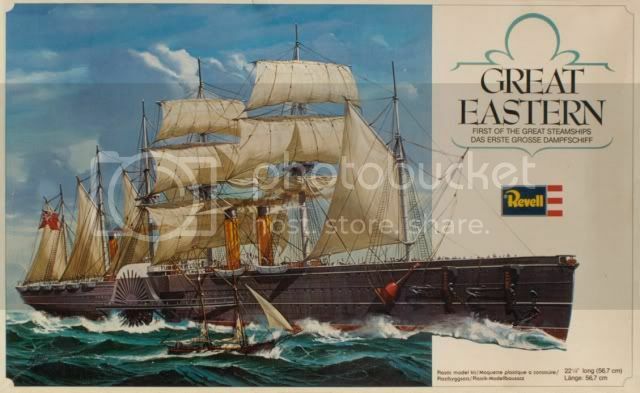 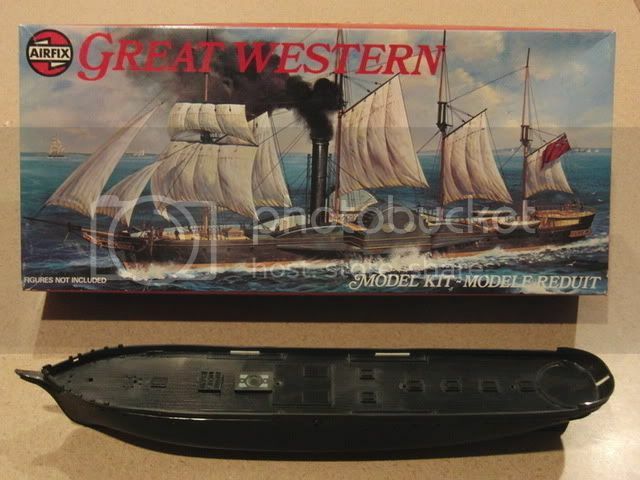 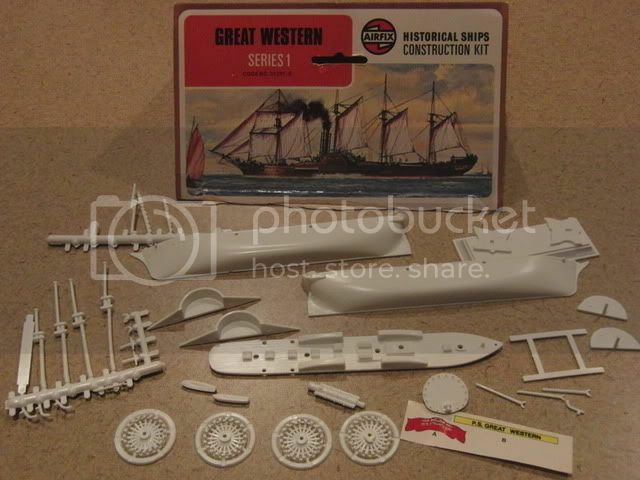 [color=#000080]Almost 50 years after its release, the Revell 1:388 Great Eastern remains the only injection molded kit of the great ship to reach the market. 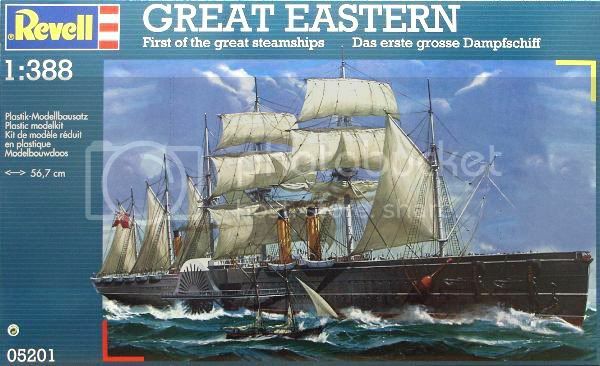 Since it’s original release in 1963, it has been reissued several times by both Revell and Entex, most recently by Revell of Germany in 2002, kit number 05201. 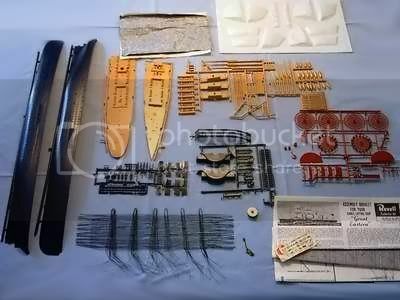 Considering the age of the molds, the kit holds up reasonably well and provides an excellent starting point for both the super-detailer, and the out-of-the-box builder.